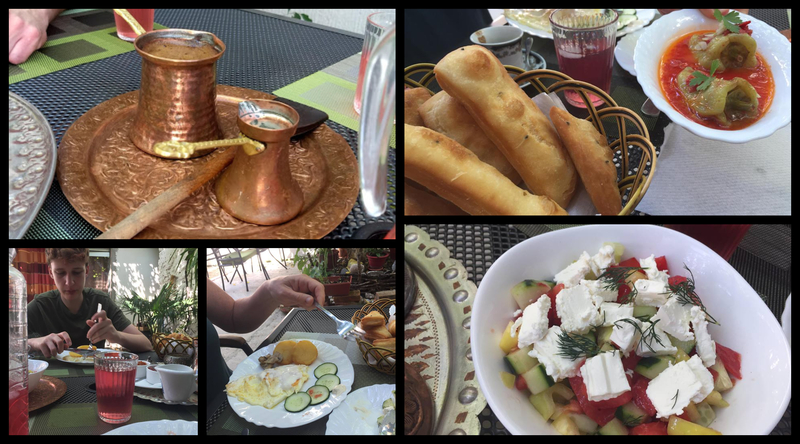 We recently returned from a family trip to Bosnia, Croatia, and Slovenia — meeting up with Allegra, who’d already been traveling by herself for six weeks. We flew from Minneapolis to Sarajevo, and she took the bus into Sarajevo from Montenegro; easily, beautifully, shortly after we checked into our apartment the first night, she pulled up in a taxi, tan, her hair lightened from weeks in the strong Turkish sun, and suddenly there we were, we four, together again, ready to push the unit of us into new spaces, new places. And although the list below covers my personal highlights from our 17 days together, I could actually stop this post about “best moments” here, after typing the next few words: my favorite moment of the trip was when that taxi door opened. 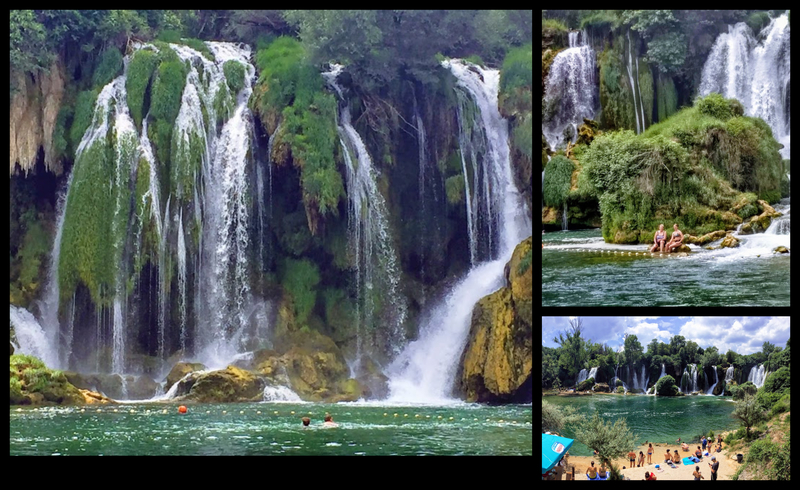 The Kravice waterfalls: Located about 40 km from Mostar — which helps you locate it precisely in your mind just now, doesn’t it? — this series of falls was easily my favorite “spot” on the entire trip. There weren’t too many people, although it did get more crowded as the day wore on, and there weren’t too many swimmers. After our initial “whoa, baby” shock when the falls first came into view, we took turns swimming out to the base of the pounding water, working our bodies against the strong counter-currents, and that was like no experience I’ve ever had. As Allegra and I paddled towards the first fall, the second, the third, the next, I was buoyed by wonder. By the time we left a few hours later, that feeling hadn’t subsided. Even now, weeks later, my strongest sensation when I think of these waterfalls is that of gratitude: we were so fortunate to be able to get ourselves to Bosnia; we were so lucky to have heard of this place; we were so fortunate that all four of us were strong, able, and willing. Sidestroking through that cold water, I was propelled by awe. 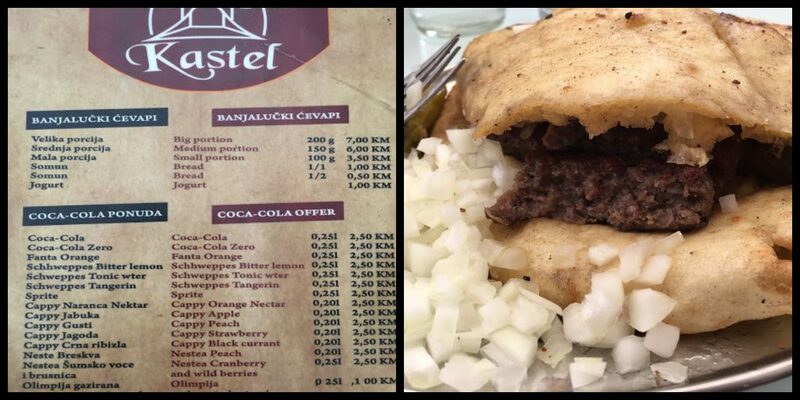 Cevapi: Is there anything more important while traveling than the food? To put a finer point on it, is there anything more important than food any day, anywhere? Oh, all right. I’ll give you “water.” Shelter. Love. The Netflix password. But food’s right up there, yes? That’s why I was so glad we tried cevapi our first full day in Sarajevo; it set us up to order it again and again throughout the entire trip — because our family has its values in order and, thus, is always enthusiastic about a heap of small grilled sausages stuffed into a bread pillowcase and sprinkled with sharp onions. The roadside stands where all bottles were labeled with gold-penned script: They just kept coming, these stands did, along one stretch of road in, hmmm, was it Bosnia? 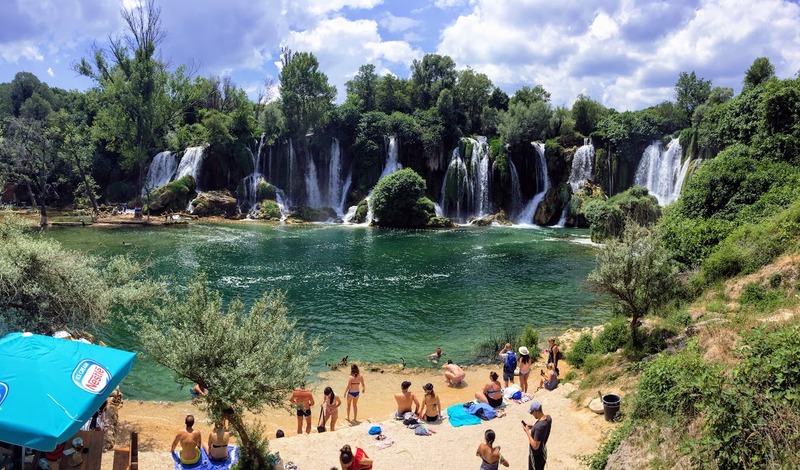 It might have been Croatia (see previous mention of multiple border crossings in the same day). Let’s just say “former Yugoslavia” and call me right. At any rate, after we flew past the first twenty stands, we decided to pull over and see if there was any produce for sale that we hadn’t yet seen in the grocery stores; this strategy was loosely titled “My Queendom for Some Broccoli.” By the time we were done staring and considering and pointing and paying, we had a handful of bags and a lovely jar of Lemon-Lime juice, pulp a’floatin’. The Old Town in Sibenik, Croatia: Hey, look at this next one! I actually know we were in Croatia! I’m super sharp, see! To a one, the members of our family loved the historic apartment we booked in the heart of Old Town in the city of Sibenik. The streets are narrow, the vibe laid back, and the sculpted heads of benefactors decorating the facade of the cathedral totally rad. Even better: the crepe stand is open late, and when we initially couldn’t find the apartment, our host came out and stood on the street (“I will be by the cannons, wearing short blue pants made of denim”). Because I am a paragon of restraint, I didn’t even tell him that one of my mild-mannered husband’s most firmly held opinions is that men should not ever, no, not ever, wear jean shorts. The half-attentive waiter when we stopped for coffee in some random place, a guy with one quarter of one eyeball focused on our needs, a guy who failed to bring me the panna cotta I ordered, thus saving me from myself. Thank you, negligent waiter. I bet your panna cotta would have disappointed anyhow, especially because I would have gulped down huge mouthfuls of cigarette smoke with every bite, and even if the custard had been grand, I did JUST FINE WITHOUT IT. DOES YOUR ONE QUARTER OF ONE EYEBALL SEE ME BEING JUST FINE OVER HERE? I AM AN ACCOMPLISHED WOMAN WHO HAS GREAT EXPERIENCE DODGING FALLING PEACHES, SO WHY WOULD I NEED YOUR STUPID PANNA COTTA? 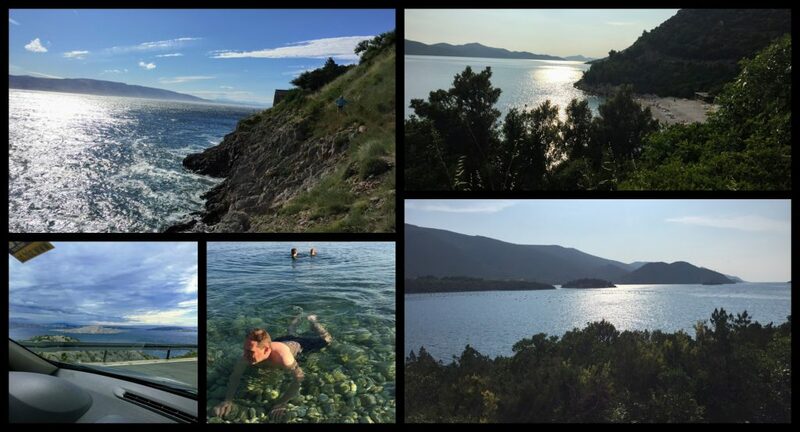 Spontaneous finding of a cliff-side path: We loved Sibenik so much that it was hard to leave, hard to adjust our brains and hearts to the next location, in this case a “just fine” town named Senj. 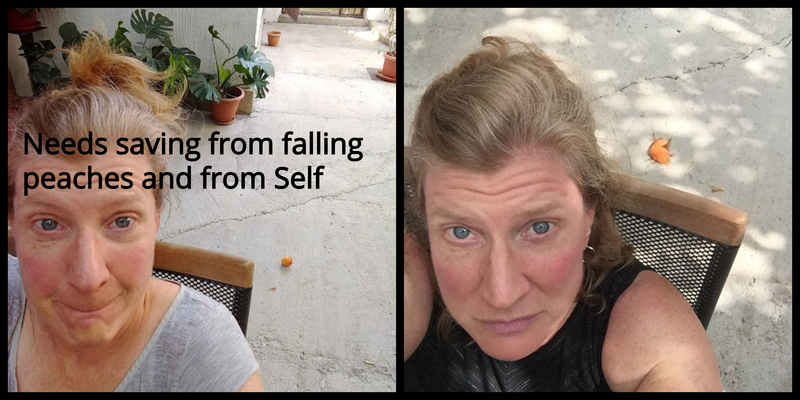 Again, in Senj, GPS got us within a few hundred meters of our booking, but after that, it took good old-fashioned rolling down the window and yelling to a frazzled-looking woman, “Do you speak English? No? Okay. Do you know where this apartment is?” while holding Byron’s phone up to her face. Important to any story such as this one is the fact that she didn’t know the location of Apartment Leona, nor did she know where Krcka ulica 2a Villa Nehaj, 2 kat was, but she did know an old guy in overalls across the street — did he have cement on his arms? was he building a retaining wall? was his name Grgur? — and so once she waved him over and three or four congregants had a lively discussion for a couple minutes, we received direction and the helpful advice of “big building” from Grgur and Frazzle, which allowed us to circle the streets a bit more before parking at a new apartment complex and wondering how we would ever know if we had arrived. Of course, as is the way 99% of the time with travel, it all worked out, and soon enough we were up a few floors in a spanking new IKEA-furnished apartment (Hey, Leona! ), which actually proved a perfect counterpoint to the historical place in Sibenik. Even better was our discovery of a path running along the side of the cliffs edging my girlfriend. 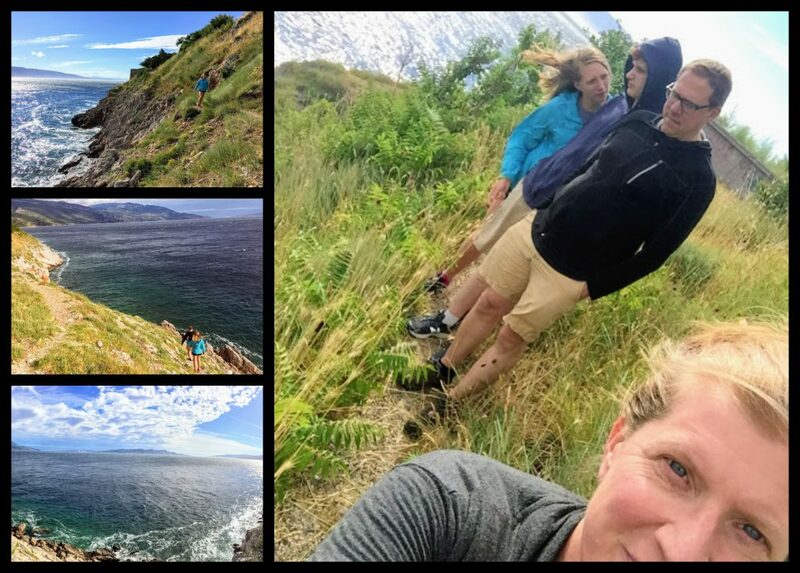 The ensuing ramble provided everything I could want from Senj. 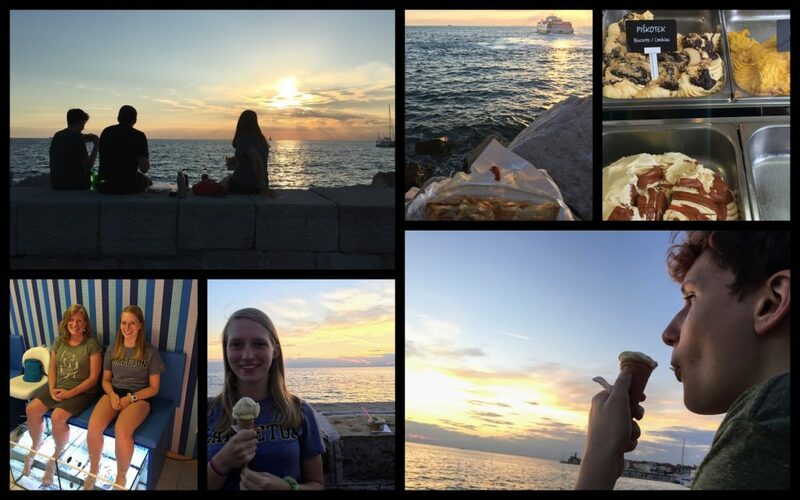 The food and fish in Piran: On the tip of a Slovenian peninsula is a town named Piran, a place described as “Venetian” since it’s just across the water from Italy and has, over its history, absorbed a great deal of culture from that neighbor. Since Piran is popular, it’s expensive, so we stayed in a hostel; the digs were rudimentary, but the guy at the front desk hooked us up with great recommendations, including one for the best ice cream I’ve ever had, and trust me, I’m a well-seasoned pro on the professional ice-cream-eating circuit. Piran also presented an opportunity for Allegra to use some of her gift money from friends Kirsten and Virginia — their urging being to use it for something in her travels that she would never do otherwise. Well. So. When we passed a shop where a few people were sitting comfortably on benches, having their feet nibbled by fish, it was a no-brainer. This was something she (and I) had always wanted to do, and it surely was something she’d never do without that money. Thus is was that the two of us sat, giggling, at 7 p.m., learning that this species of fish is originally from Turkey and lives for three years — although to be honest, one hungry guy took a look at my left big toenail and decided to throw his body out of the tank there and then. Most glorious of all was eating a cheap to-go dinner from a bakery while watching the sun set over Girlfriend. Predjama Castle in Slovenia: So you know Rick Steves, right, O PBS Fans? And you either love him or hate him? We at our house decided some years ago to love him since our kid had taken a shine to his untroubled and informative travelogues. So we’ve all watched a whole lotta Rick Steves over here, and in our best moments, we sling a single backpack strap onto one shoulder, tuck a thumb into a belt loop, and make up closing-reel bloopers about public art. Hey, some families play banjo together; ours Rick Steveses together. Anyhoodie, one time Rick visited a place called Predjama Castle in Slovenia, and one other time, so did we. Built into the opening of a cave, parts of the castle itself constructed FROM the cave, the architecture of this place is stunning. Adding to its appeal is a system of tunnels running out the back so that residents under siege could still retrieve fresh food and toss a big nah-nah at their attackers. 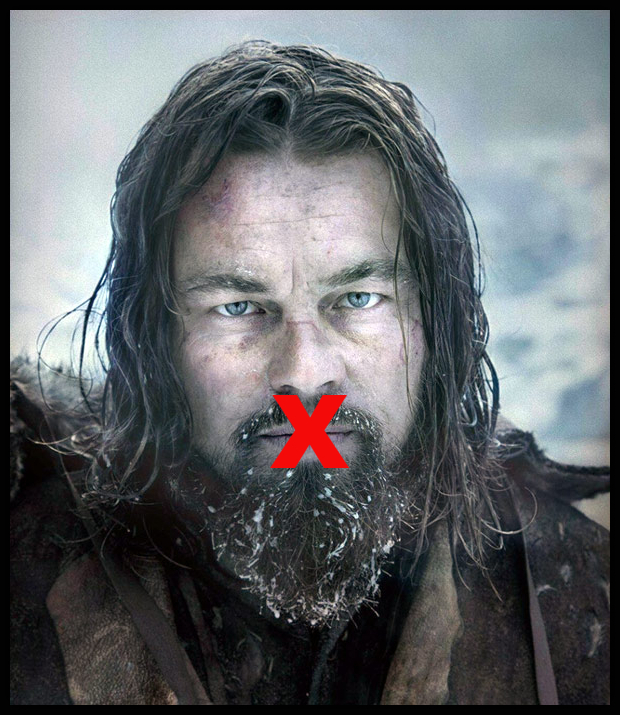 Most famous is a robber baron named Erazem who brazenly threw the pits from cherries at Fredrick III’s soldiers during a year-long siege. They got him in the end, though, as a servant sold Erazem out, raising a flag to notify the attacking troops when Erazem popped into the WC on the front of the castle. Fredrick’s men blew the bathroom to smithereens with a shot from a cannon, and Erazem never did get to finish reading that article about the best red-carpet looks at that year’s Oscars. 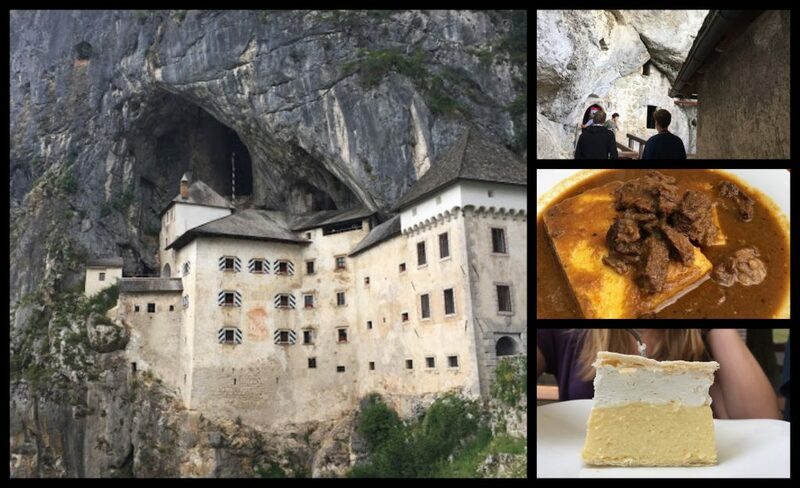 Enhancing the wow of the castle itself was our lunch — goulash over polenta with a side of angel-pillow gnocchi– and our post-tour snack — cappucino and cream cake (kremsnita). 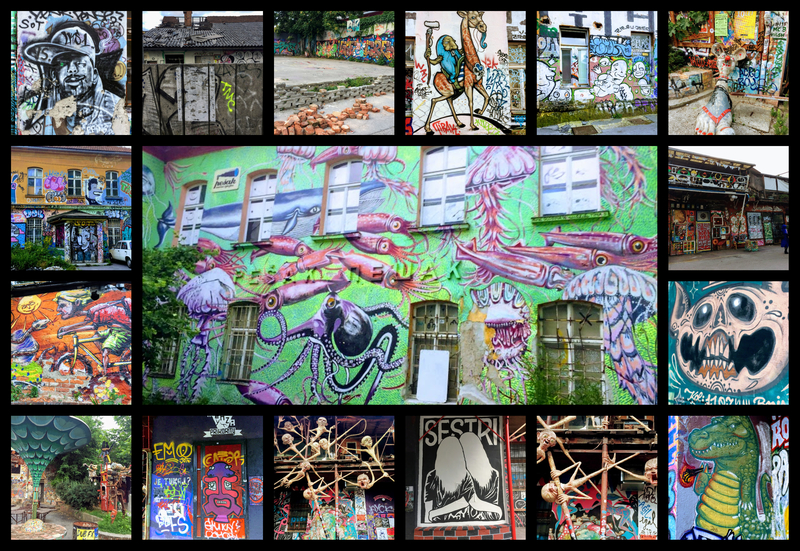 Metelkova in Ljubljana: The first thing that struck me about Ljubljana was the graffiti EVERYWHERE. Every surface, from windows to walls to post boxes to light poles, has spray paint on it. 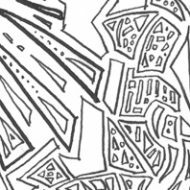 The net effect is, naturally, somewhere between cool and grungy. 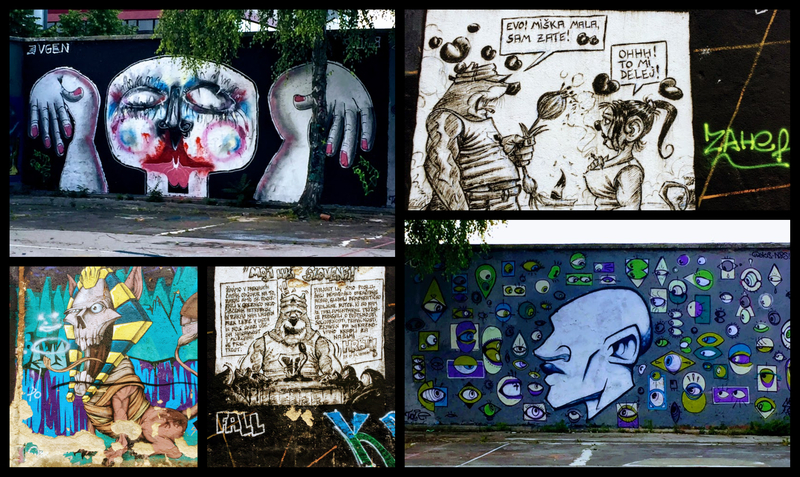 Speculating about why this city seems to have more graffiti than any other place I’ve ever been, I announced, “I hope it’s a way of exerting freedom in a place that used to be quashed under authoritarianism.” I’m a real hoot to travel with, btw. Later that day, we did a free walking tour of the city with an excellent guide named Daniel (Me to Daniel at the end of the tour: “I told my kids that if you were my teacher, yours would be my favorite class.” See how well I follow my policy of Actually Say the Nice Things Out Loud to the People?). At the end of the tour, we lingered so as to ask Daniel a couple of extra questions. When I asked him why there is such an astonishing amount of graffiti in the city, he confirmed that, indeed, it is created by citizens expressing themselves after too many decades where they would be arrested if they so much as painted the letter “A” for “Anarchy.” (RIP, Sue Grafton) Continuing, Daniel noted that he doesn’t much like all the thoughtless, “do-nothing” graffiti, but he absolutely finds joy when it is art. 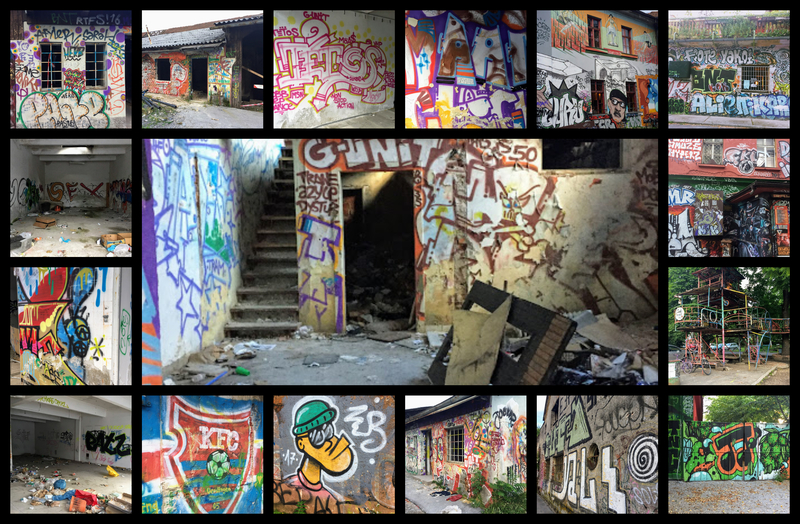 Then he told us about a lesser-known spot in the city — “a former military barracks where artists began squatting after the fall of Communism” — and urged us to walk through it to get a taste of graffiti’s power when it’s done right. And so. At the end of our day, we found this artist’s community and wandered through. “Oh!” I thought, my heart filling. “Oh, oh, oh!” To see evidence that la vie boheme is thriving, that art triumphs over war, that the counterculture can be a force — well, it was the most beautiful balm.